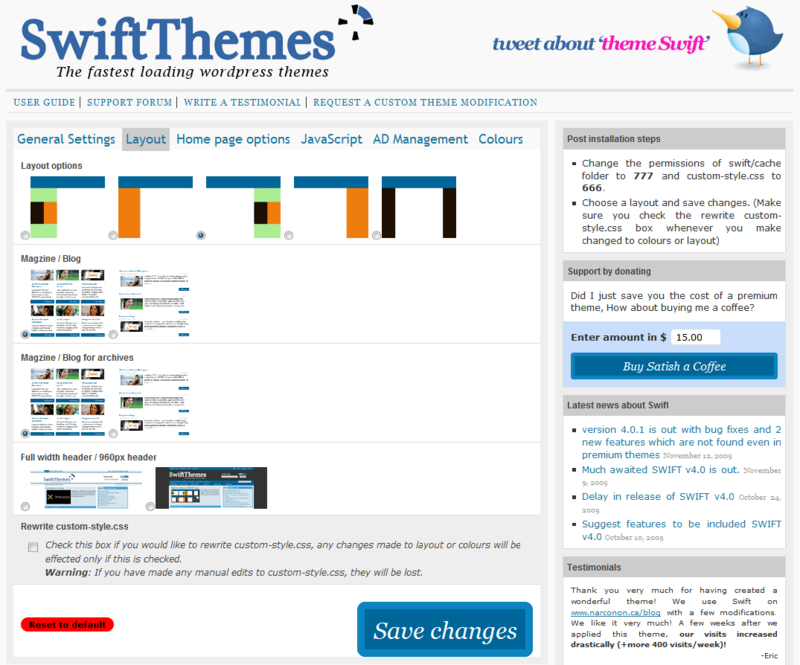 SWIFT-v3.0 comes with a user friendly options page providing you with a lot of options for customization. Options page is divided into six sections. Custom Logo: Upload your logo onto the server, and add its url in the custom logo field, alt text and title will be added by default. You can use any image format like JPG,GIF,PNG. Header Height: We know that all logo’s are not of the same height. So, we have given you an option to choose the header height. Play around with the height of the header until your logo fits in the header perfectly. Custom Favicon:Upload your favicon onto the server, and add its url in the custom favicon field. Navigation Pages: Here you get the option to choose the pages that appear in the top navigation area. You should enter the page id’s separated by comma (Check the screenshot below) . 6 pages are shown by default. Navigation Categories: Here you get the option to choose the categories that appear in the navigation area below the logo. You should enter the page id’s separated by comma (Check the screenshot below) . Top 8 categories are shown by default. Note: v4.0 features drop down navigation for pages and categories, you should enter the sub-page and sub-category id’s for them to appear in drop down navigation. Tracking Code: You can enter you stats tracking code like google analytics code here, this will added before the </body> tag. Feedburner ID: Enter your feed burner ID, this will be used to for the rss links in top navigation and rss subscribe box. Display feed count option should be enabled in you feedburner account for the chicklet to appear.